On this KI-6 coalition site that I've posted, the petition is just a click away, on the left side of the page. It isn't here that I found out that the appeal of the 6-month prison sentence is on May 28, but in an Indian Country Today article, dated 12 May 2008. I have posted that Indian Country Today article, which is an interview with one of the First Nation leaders who has been imprisoned. Algonquin chief & Queen's U professor serving 6-month sentence for refusing to comply with court injunction forbidding protests against uranium exploration co that's staked claims across 30,000 acres of traditional territory. 6 KI 1st Nation leaders, too! 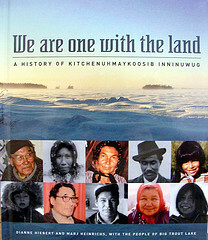 Btw, the title got 'abridged' - it should read "...on Their Ontario Boreal Forest Lands." Noted and signed the petitition, thanks Jill G.
Signed and noted. Thank you Jill. Thank you, Jill. Noted and signed. Thank you Jill and Mark! Petition signed! Noted also and will pass it along. Noted yesterday. Came back to sign today. Thanks for sending to me Mark so I could sign. Thanks Jill. *noted & signed Jill, thanx Mark for passing this along! This is Urgent Thanks Jill & Mark for Sending this to Me! Thank you, Jill, for you finding and posting of this. And Mark, thank you for sharing it with so many. Signed and noted. Noted, signed. I pray all will be released to fight against this Mine,and pray that others not paying attention will realize their plight is ours...........there is no escape for anyone without realizing Justice for everyone WORLDWIDE. Thanks Jill, Mark. Thanks, I'd never had a big gorilly hug before ! Let me treat you to a crate of non-Chiquita bananas to show my appreciation. Your comment, Sandra, touches me no end. Thanks so much. And, you know, No Surrender OK, that Crow Prophesy you left in your comment up there is on the home page of the Kitchenumahkoosif Inninuwug First Nation site, carved into wood ! That's the message. Sorry, Cree, not Crow ! Noted and petition signed with thanks, Jill. Thank you for the forward, Alicya. noted and already signed this petition.Thanks Jill ! Noted, signed, & letter sent. Thank you Jill and Carol. 205 emails sent to the Premier! 1,452 names on our petition! Noted and signed, they should be given medals by all nations, not imprisoned. Thx for this Jill!! !